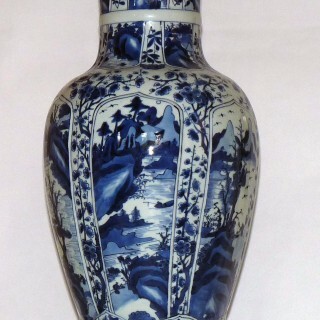 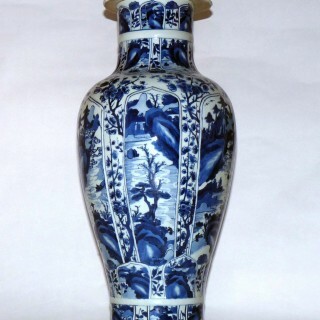 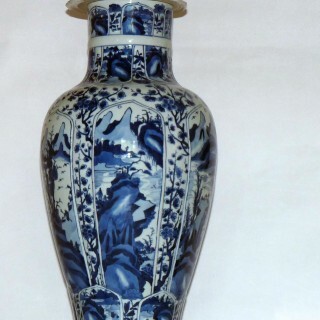 Chinese early 18th Century impressive blue and white lidded baluster vase. 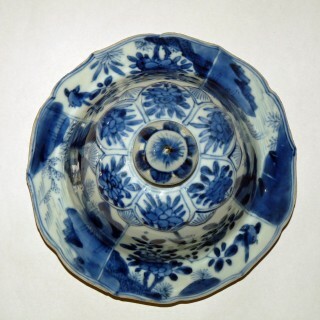 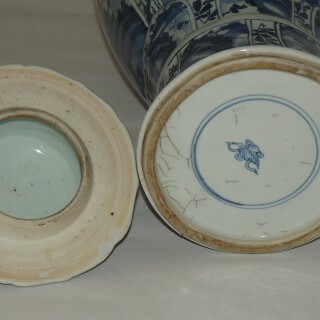 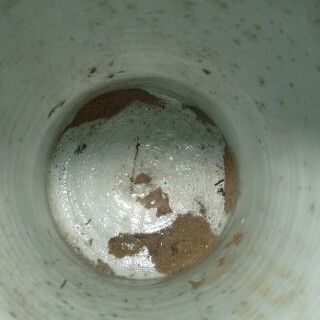 made at the kilns at Jingdezhen during the reign of the Emperor Kangxi to be exported to Europe. 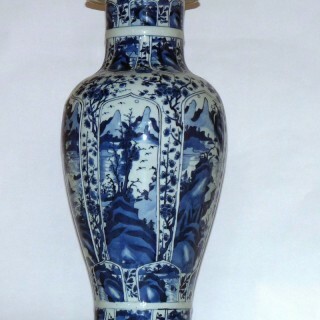 The body is moulded and painted with shaped panels of various rocky mountainous river landscape scenes which are divided by various flowering plants.